"Playground" by Tom Otterness. Photo courtesy Environmental Planning & Design. 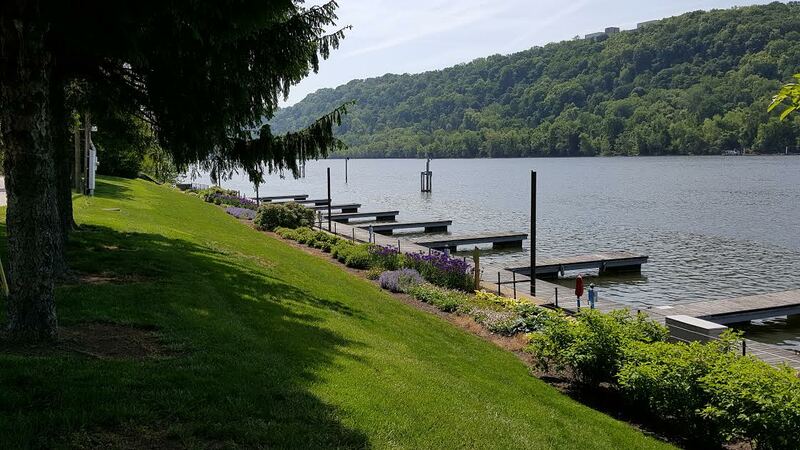 The transformation of the former Aspinwall Marina into a marquee riverfront park continues with the opening of a new welcome center and event space. 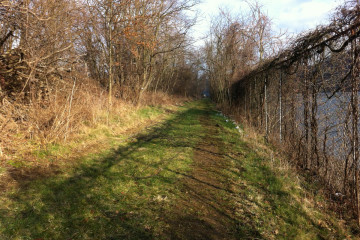 “It’s a game changer for us,” says Susan Crookston, founder of Aspinwall Riverfront Park. The three-story building, formerly a boat storage area and marina shop, has been gutted. It now provides shelter from the heat and rain, indoor bathroom facilities and a place for community members to host events and celebrations. Just last week the pavilion hosted a graduation party and a birthday party, and two weddings are scheduled for later this summer. 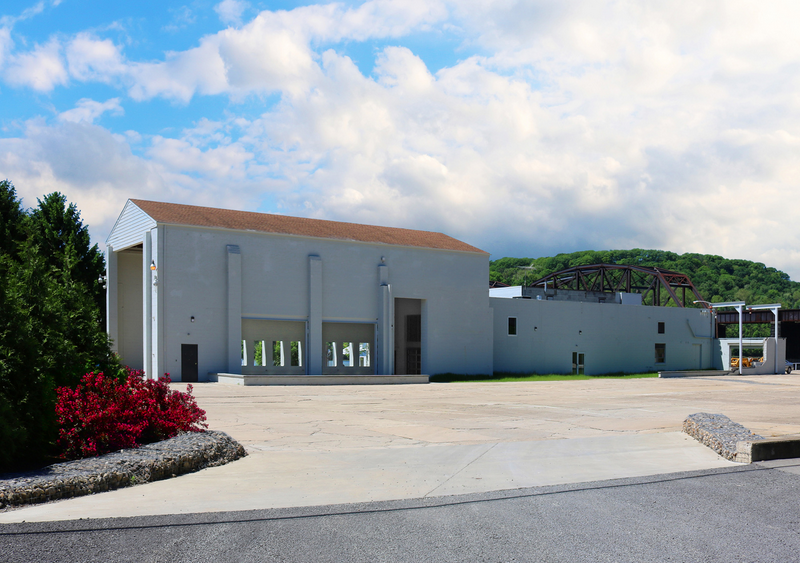 New Welcome Center and events space at Aspinwall Riverfront Park. Photo courtesy Fisher Architecture. Aspinwall Riverfront Park opened in September 2015 after almost five years of work by the nonprofit organization of the same name, along with a slew of volunteers who continue to maintain the grounds and park amenities. The park offers bike and walking paths, a playground, amphitheater, kayaking in the summer and ice skating in the winter. 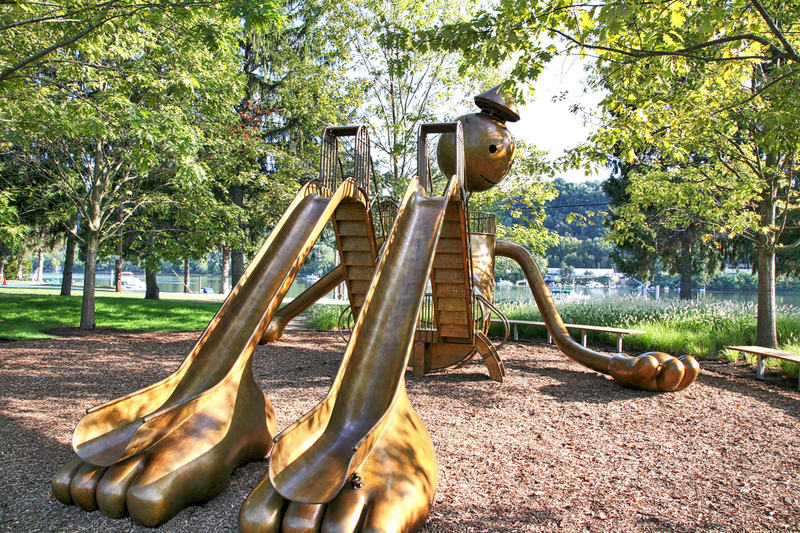 The marquee attraction (besides the river) is the whimsical tin man Playground sculpture and children’s slide designed by internationally-renowned artist and sculptor, Tom Otterness. The ADA-accessible welcome center has allowed the park to broaden its appeal and expand its offerings to include classes in yoga, tai chi, Pure Barre and Kindermusik. Stage Right Pittsburgh is offering a pair of summer acting and theater classes for students that will culminate in a performance of You’re A Good Man, Charlie Brown. And there’s still more work on the horizon: the nonprofit is actively fundraising for renovations including the installation of a fishing dock and replacing a parking lot with an expansive lawn area. Fisher ARCHitecture served as project architect. R D Stewart was builder on the project and Loftus Engineering served as structural engineers. Want to check out the park? Stop by during daylight hours or attend the annual River Rocks fundraiser on September 23—proceeds benefit the Aspinwall Riverfront Park 501(c)3 nonprofit corporation.